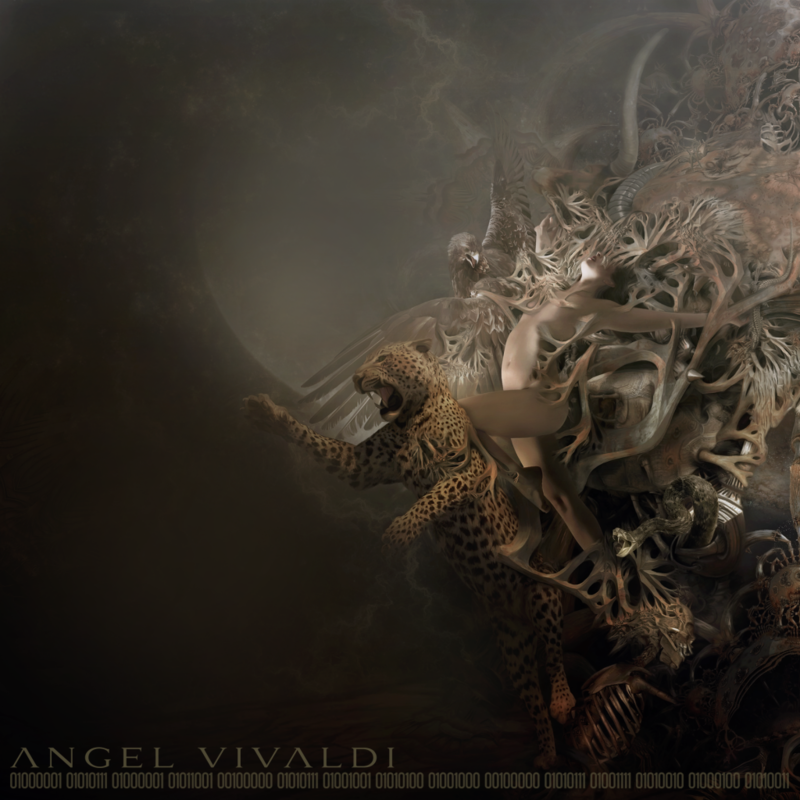 New Jersey-based instrumental progressive rock/metal guitar virtuoso Angel Vivaldi’s solo career has already lasted more than ten years, and on the strength of albums such as ‘Universal Language’ (2011) and ‘Away With Words: Part 1’ (2014), Vivaldi has earned several accolades in the realms of prog music and guitar playing. In October 2015, he embarked on his first full North American tour, wherein his band was promoted to the headline spot after co-headliners The Algorithm bowed out due to visa issues. Vivaldi and his band arrived in Los Angeles for a gig at the Mystery Box in the Arts District on October 27th, and enthralled a crowd of dedicated, enthusiastic fans with a sparkling exhibition of musicianship. Before the show, I spoke to him about the tour, his demographic, the live show, songwriting and future plans. Enjoy the conversation below. How are you doing today? Welcome to LA! Very glad to be here! Doing great, the tour has been wonderful, it’s been an amazing experience just meeting all the fans and stuff like that. Exciting times! First of all, your co-headliner The Algorithm had to drop out because of visa issues. How are you handling doing this show on your own? Well, it’s funny because I’m actually tour-managing this tour too, so I’m wearing a lot of hats. It’s stressful doing everything (laughs), but headlining the tour myself has been great. The fans have been showing tremendous amount of support. We sold out a few shows on this tour already, and there’s not been a show that was bad, as far as turnouts and stuff. I’ve been doing meet-n-greets for two-three hours after each set, every night. I’m really bummed, obviously, that The Algorithm couldn’t make it, and it’s tough getting visas these days as a lot of bands have been facing an issue with that, but we’re making the best of it. How much of the tour have you had to do on your own? Did they make it to any of the shows at all at the beginning? No! We’ve been headlining every night ourselves. I’m glad it’s been working out. American bands probably take it for granted and you’re lucky that you don’t have to go through the US visa processing. Bands from outside of the US have that problem and we have to feel for them. Yeah, I definitely have a tremendous amount of compassion. It is so expensive and so time-consuming, and it is a lot of work for everyone involved. So, hopefully they can come back and make up the dates, which I’m sure they will because a lot of their fans were very excited for them. So, I believe this is your first full North American tour. How long have you waited and prepared to pull this off in such a big way? Since May of this year! It’s taken six months of preparation, and rehearsing, designing the live show, working with different agencies, booking the trailor, doing the van, making the set lists, doing the merch .. it’s a mile-long list of preparation. And then you have the mental preparation. I’m really into meditation, so I dug deep into that, just to make sure that if something goes wrong on tour, I can chill and not really affect anyone else in my band. I don’t want to stress anyone out. When you’re in a van for five weeks at a time with the same people, it’s very easy to get on each other’s nerves. My guys have been playing with me for a while, the bassist for nine years, the guitarist for seven, and unfortunately my main drummer couldn’t make it but we have a touring drummer. We’re making the best of it. We’re having a good time, and there haven’t been any issues at all. But yeah, it’s a lot of mental, physical, financial and musical preparation. All sorts of preparation (laughs). Obviously you have that prog rock audience at your shows, but in general, what’s been your demographic? I’m sure you also get people that don’t even listen to heavy music but they’re just guitar fans. Absolutely, and more importantly, I get people who aren’t even into guitar music. I have a lot of women at my shows. It’s kind of crazy, and they are cute chicks! So, that’s cool. They don’t really listen to a lot of other instrumentalists or anything like that, but for reason they are really connected to the music. Obviously you have a lot of guitarists and musicians, and the progressive rock demographic. But it’s sort of been balanced. I’d say 30-35 per cent have been non-musicians and the rest of them have just been like guitar-crazy, very guitar-focused music listeners. That’s interesting, man. You mentioned your live band. This is your solo project named after you, but how much of a part does the band play in the show? They are integral. Without me, they make up for 75 per cent of the people that are up there, because I have three guys aside from myself. They’re my brothers, they’ve known me for a very long time, album after album, show after show, tour after tour, and we’re still together as I don’t really switch out members that often. The writing process is mostly me and the arrangement of the live show is a lot of my ideas too, but they like to add different things and they all have a different energy. When this guy is giving me a yellow light, I’m putting out a blue and it mixes to make a beautiful green. So, there’s a very workable energy between all the members. So they’re very integral, absolutely. While writing music or even while performing, for a guitarist it’s important to create a balance where you’re not just appealing to guitar nerds. What do you feel about your music so far in that sense, and do you think you’ve been able to achieve that balance? I try not to put a lot of thought into that. I really just write sincerely, stuff that means a lot to me. But when you get to a point where it’s your livelihood, you also want to think about not disappointing the fans but what’s more important for me is I mean what I play. Every note has a place and it’s thought out. It has a purpose, and it’s not a note to play a note. So, a lot of the priority for me is just writing music that reflects where I’m at in life, and it just so happens to connect with a lot of other people’s places in life. So, they udnerstand what I’m trying to say. And you were talking earlier about designing the live show. What does that consist of aside from the music itself? Well, I design an entire lighting setup, which is difficult for prog because you have different things going on, and it’s very dynamic music. I never designed a light show before, so I went and bought the equipment and it was very expensive, and I had to learn how to do it. My main frame of mind was, I’ve been waiting years and years and made my fans wait for a tour, and finally headlining my first tour, I’m going to go all out, between what we wear, how we interact, the live show, the set and how the songs flow into one another. I’ll soon be releasing a music video for a Satriani cover that we play live, and this is the first time people are actually hearing it before release which is very exciting for them. So, there’s a lot of audience interaction sessions, there’s a little guitar solo where it’s just me doing my thing, and there’s a lot of different things that I try to incorporate in the live show, just as a Thank You to everyone that’s been so patient. I think your latest album ‘Away With Words: Part 1’ came out last year, and that was your first in three years, since ‘Universal Language’. What was the working process like for ‘Away With Words’? Did it actually take you three years or was it just a matter of waiting for the right time to release it? No, it really takes me years to write songs. I’m a very moody writer. If I’m in the mood to write, I will write you an orchestra piece. If I’m not in the mood, I don’t want to see a guitar. I think it’s important to have a balance between what your life really is and what a part of it is. A lot of people say, ‘music is my life’, but they’re not really living their life to the potential that it can be. Let’s say for instance that tomorrow I wake up and I can’t use my hand. I’m no longer a guitarist and I can’t write music, so what am I? So, when you think about it in aspects like that, you have to find a balance. I like to experience things in life and to have them shape how I write. Every song, I know exactly why I wrote it. I know what I was going through, I know what I was feeling. A lot of people on YouTube comments, they feel the same thing, not knowing what I was feeling inside. So, it’s cool that it translates that way, but it does take a very long time. A year, two years, sometimes three years. There are certain songs that I’ve been working on and off for four or five years. So, it is a lengthy process but I like to think of it like this. A lot of bands are very cookie-cutter and it’s the same formula, like beer on tap. A lot of people like beer on tap, but my music is kind of like a wine. It takes a while for it to be the best that it can be. Not that beer is better than wine or vice versa, it’s just preference. I like wine (laughs). Clearly. So, is there an ‘Away With Words: Part 2’ in the works? If yes, when is it expected? Yeah, there is a Part 2 in the works. It’s actually already written. I’m actually working on four records right now, one of them being ‘Away With Words: Part 2’ which is all acoustic. 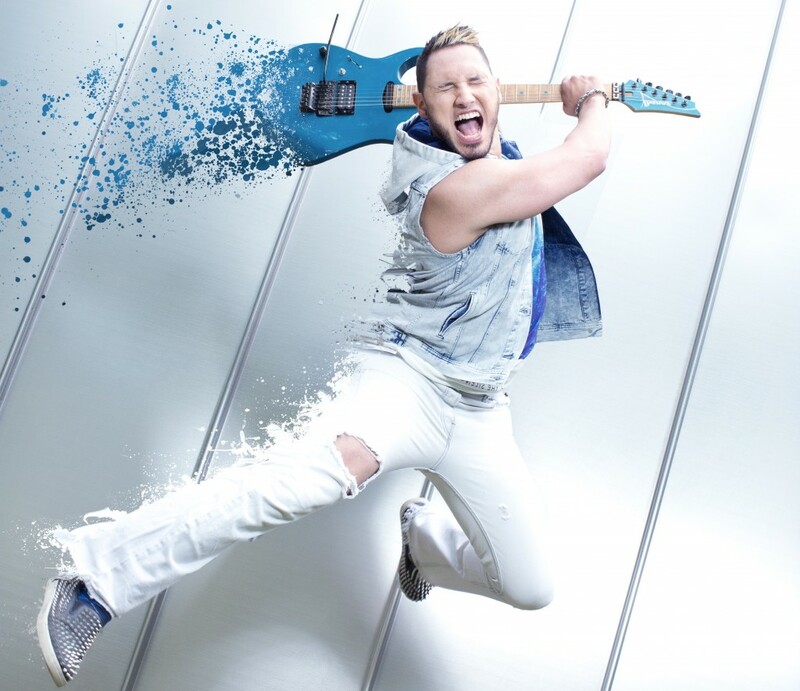 But I decided to put that one on hold and release another traditional Angel Vivaldi record which is just traditional hard rock instrumental stuff. It’s going to be called ‘Synapse’ and it’ll be out in 2016. Aside from that I’m working on a supergroup which I can’t say much about yet, but that EP is hopefully going to be out in 2016 as well. And the last project I have is this collaboration with this gorgeous classical pianist, very classical music, just her and I, just instrumental stuff. So, there is a lot of music in the works, and 2016 is going to be a very interesting year.